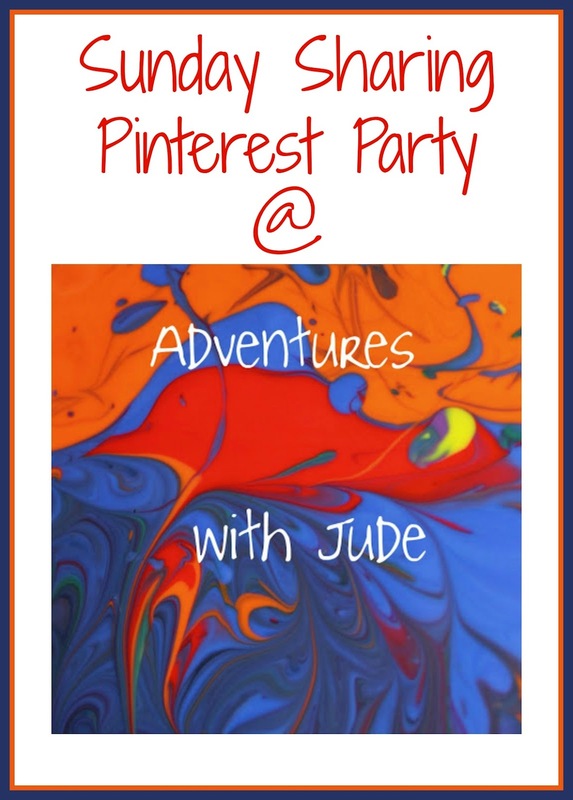 Adventures with Jude: Sunday Sharing Pinterest Party! Welcome to our Sunday Sharing Party! We're starting something new! This is the first week, so there aren't any pins to feature, but each week I'm going to feature five of my favorite pins from the previous week! Share with us - the linky will stay open all week! Great idea for a link up! This is a great idea! I love link ups! Fun I'm doing a 365 days of pinterest link up with a friend on my blog. we are encouraging people to actually do something with all their fun pins!